The Knicks (34-45) beat the Raptors (46-33) by a score of 108-100 in Toronto. 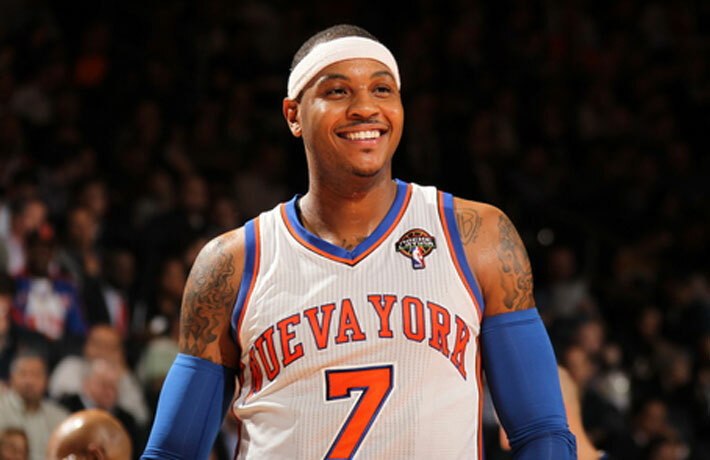 Carmelo Anthony led the way for the Knicks, scoring 30 points, grabbing 8 rebounds, and notching 3 steals. 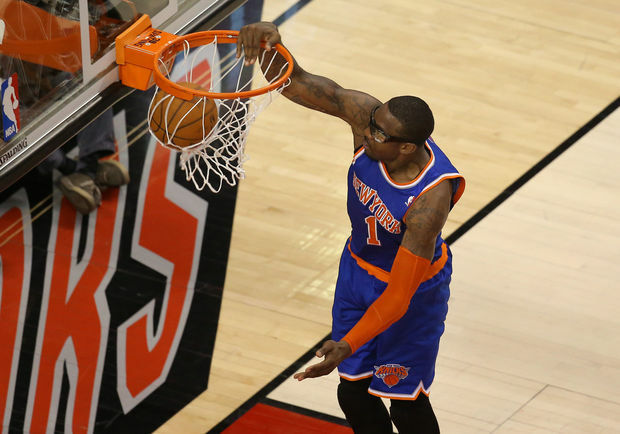 Amar’e Stoudemire was fantastic as well for New York, pouring in 24 points and pulling down 11 boards. Iman Shumpert had another solid game, with 11 points, 5 rebounds, and 2 steals. It was nice to see Carmelo have one of his usual games tonight, after having 2 awful games against Washington and Miami. His shoulder looks much healthier after 4 days of rest. Stoudemire’s resurgence has been the best story of the 2nd half for this Knicks team. After all he has fought through, seeing him get back to being a force on the offensive end is inspiring. Hopefully he can finish the year strong, and contribute again next season. The Hawks won last night. This simplifies things. If the Knicks go 3-0 (against the Bulls, Nets, and Raptors), and the Hawks go 0-3 (against the Heat, Bobcats, and Bucks), the Knicks will make the playoffs. In any other scenario, the Hawks would make the playoffs. 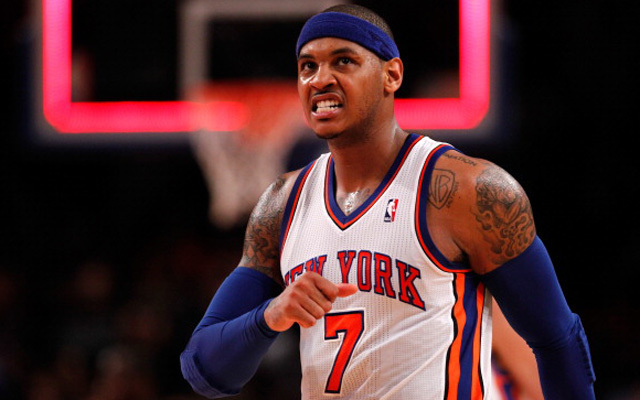 If the Knicks go 2-1 and the Hawks go 0-3, or the Knicks go 3-0 and the Hawks go 1-2, the two teams would finish tied. But even though they split the season series 2-2, the Hawks have the tiebreaker (which is ridiculous, but I’ll write about that later). So if the Knicks lose again, or the Hawks win again, it’s all over. We need the Heat to help us out by beating the Hawks tonight. Then we need to keep the pressure on Atlanta by beating the Bulls tomorrow. This entry was posted in Articles and tagged KNICKS, knicks 108 raptors 100, knicks beat raptors, KNICKS MEMES, Knicks news, Knicks Playoffs, knicks postgame, knicks postgame reaction, knicks postgame recap, knicks recap, nba, NBA Playoffs, new york knicks, New York Knicks Memes, NYK, Tommy Rothman, tommy rothman knicks on April 12, 2014 by Tommy Rothman. With the playoffs approaching and the #2 seed in the east virtually locked up (The Knicks can clinch the 2 seed with a win over the Bobcats), it is time to take a look at the Knicks’ road to the championship. With 3 games to go in the season, a look at the standings shows that it would be almost impossible for the Knicks to not end up facing off against their division rivals in the first round. The Knicks match up well with the Celtics. Rajon Rondo’s ACL tear means the Knicks wont have to worry about being torn apart by another point guard (yet), and Boston’s other weapons, Paul Pierce and Kevin Garnett, are not what they once were. The Knicks won the season series 3-1, and will be the favorite in round 1. The Knicks have taken the first 2 games of the season series with the Hawks, who lack a go-to scorer, a playmaking point guard, and any momentum of which to speak. The Hawks are a tough team who will put up a fight, but I really don’t see them threatening the Knicks. This will be a very hard fought series. The Bulls won all 4 games of the season series, and will most likely have Joakim Noah back. The possible return of Derrick Rose does not worry me (as we saw with Iman Shumpert, it takes a while to get used to the NBA pace after returning from an ACL tear), but the Bulls are a very formidable team nonetheless. Home field advantage may give the Knicks a slight edge, but the Knicks will have a very tough time advancing if they meet Chicago in round 2. I would consider the Knicks the favorite, but elimination at the hands of the Bulls would not surprise me at all. The Pacers do not worry me as much as the Bulls. The Pacers lead the season series 2-1, but one of those Knicks losses came during a bad stretch for New York, and the other game without Carmelo Anthony in the lineup. Moreover, the Pacers have slowed down, and the Knicks have picked it back up. The Knicks are the better team on paper, and they have more momentum. I think the Knicks would win this series. The teams Miami will potentially face before round 3 are the Bulls, Nets, Bucks, and Hawks. I think the only team with a reasonable shot to beat Miami in a 7 game series is Chicago. We have already talked about Chicago, so let’s focus on Miami. Miami is the best team in the league. They have the best player in the league. They have one of the best supporting casts in the league. And they will have home court advantage. Beating them will be a very tough task. However, it can certainly be done. The Knicks won the season series 3-1 and they matchup well with the Heat—in fact, much of the roster was constructed specifically to counter Miami’s roster. The Knicks will have the edge behind the arc and at the center position (if Tyson Chandler is healthy). The Knicks will be the underdog, as will every team Miami plays in the playoffs, but they certainly have the tools to beat the Heat. I think the Thunder are the second best team in the NBA. However, I think the Knicks matchup quite well with them. New York beat OKC on the road and lost by 1 at MSG without Carmelo Anthony. Carmelo and Kevin Durant effectively cancel each other out, but Russell Westbrook is a better second option than J.R Smith, which gives OKC the edge. The Knicks would be an underdog here, but I think they could pull it off if they hit their threes. The Knicks are unlikely to run into the Clippers if they reach the finals, but if the Clippers do make it out of the West, the Knicks will have a very tough time beating them. The Clippers are very quick in transition, extremely deep, and extremely resilient. A team prone to giving up big runs like the Knicks is very vulnerable against a team like the Clippers. The Knicks can win this series if their shots are going in, but LA would be the favorite here. The Knicks swept the season series against the Spurs, and their great ball control will serve them well against a smart team like San Antonio. The Spurs don’t have a dominating scorer, and with Manu Ginobili hurt, I would expect the Knicks to beat the Spurs in a 7 game series. Worst-case scenario: Boston, Chicago, Miami, Los Angeles. So there you have it. The Knicks will have to take care of business in the early rounds and pull off some upsets in the later rounds if they want to win their first championship in 40 years. They have the firepower to do it; from here on out it becomes a matter of execution. This entry was posted in Articles and tagged KNICKS, Knicks Heat, KNICKS MEMES, Knicks Playoffs, Knickswag, nba, NBA Playoffs, New York Knicks Memes, NYK, playoffs, Tommy, Tommy Rothman on April 12, 2013 by Tommy Rothman.